Sensu Brush delivers an authentic painting experience on your iPad. It's truly portable and includes a useful rubber stylus tip. 1,816 backers pledged $65,823 to help bring this project to life. Last hours to save! Tell your friends! We've fielded several questions about compatibility with devices other than iPad. Sensu works brilliantly on iPhone, the device we first "iPainted" on. We've tested Sensu on multiple Android-based tablets with great success as well. One of the best apps available, SketchBook has an Android version available today. Several other favorite painting and drawing apps have announced plans for Android versions in the near future. Finally, a true painting experience on your iPad. We developed Sensu out of our desire to have an authentic brush to use with our favorite drawing and painting apps on iPhone and iPad. Of course, Sensu works well on other capacitive screens we've tested. Over the years, we've developed a lot of artist brushes and have learned tons from some of the best brush makers in the world – careful craftsmen who understand the subtle properties of hair taper, flexibility, and strength. We've learned to build brushes that yield perfectly to different paint mediums and various surfaces. We have applied the same care to developing a brush for capacitive devices which gives a satisfying sense of resistance, and still dances across the screen with a real liveliness. You'll feel like you're painting. 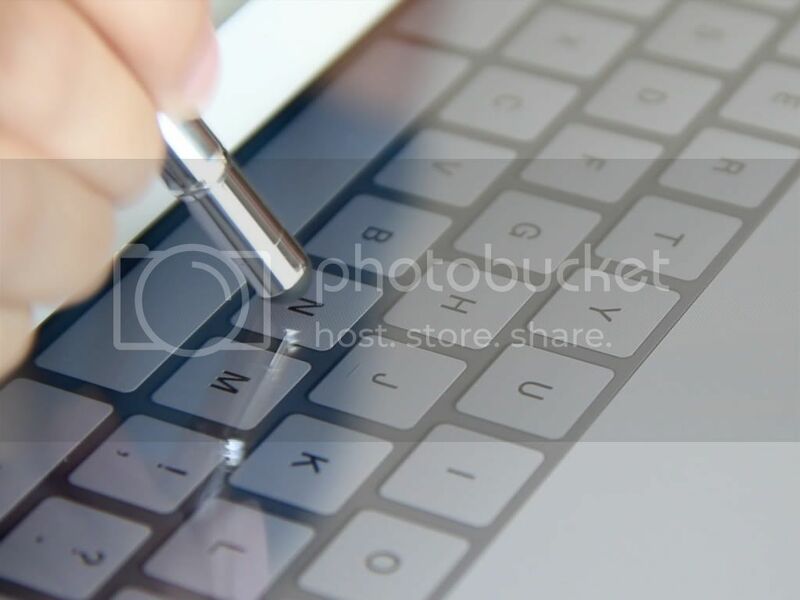 Close-up of our Sensu Brush prototype in action on the iPad. In our search for the right conductive hair, we tested various metal and metallic fibers. None had the true feel of a real artist brush. An old brush-making friend in Japan introduced us to a brand new hair technology being developed for the cosmetic industry. Traditional synthetic brush hair was being infused with conductive properties to help fine powder release from make-up brushes as they came in contact with skin. This synthetic hair could be made in the diameters and tapers we required for Sensu to feel just right. Like your iPad, the Sensu brush is truly portable. The protective cap becomes the handle for the brush when in use. 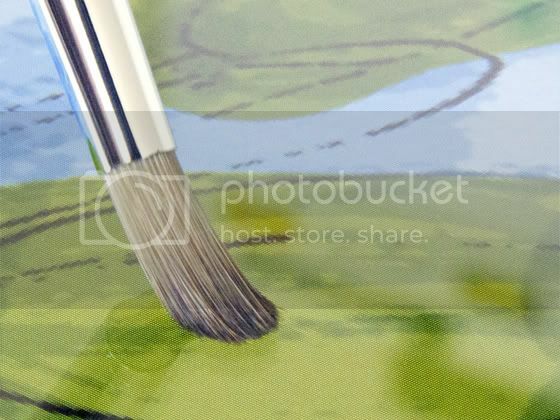 When you're done painting, simply insert the brush tip into the handle chamber and push closed. The brush is now safe for travel and a rubber stylus nib is exposed that can be used for other navigation. Sensu brush shown above open (A) and closed (B) ready for travel. 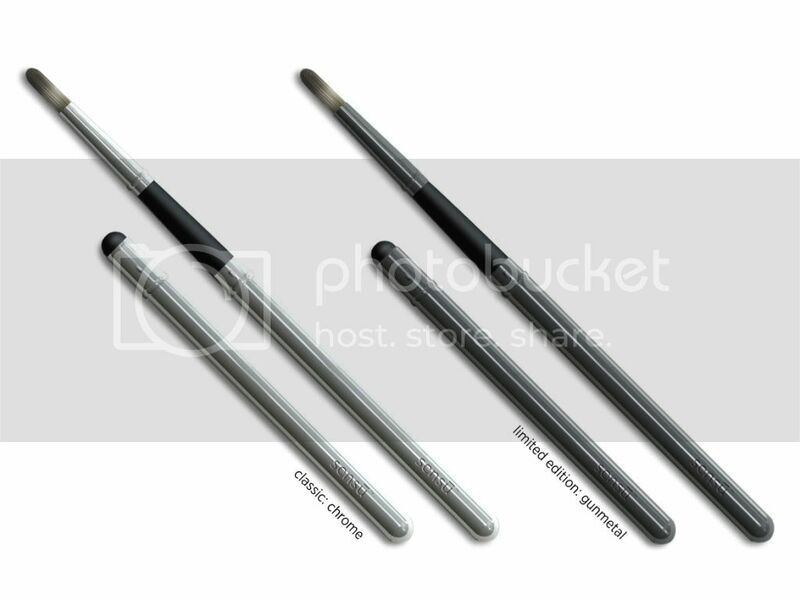 When closed, the Sensu brush reveals a useful rubber stylus tip. Classic chrome or EXCLUSIVE gunmetal plating, both on solid brass. If not for the genius of Steve Jobs, we wouldn't have these amazing products to fall in love with. There would be no dreaming of the product we are creating or the others that float around in our heads. We are true fans of Apple. We love that a company can stand so strongly on good design and amazing - even magical - user experience. We know that came from Steve Jobs. We know we will miss him in our world. Sensu™ is trademark of Artist Hardware, Inc. Chicago, IL. All rights reserved. PATENT PENDING. iPhone® and iPad® are registered trademarks of Apple, Inc. Cupertino, CA. Thanks for “kickstarting” our project! Every single dollar helps and we love every Kickstarter who contributes to making our project a reality.